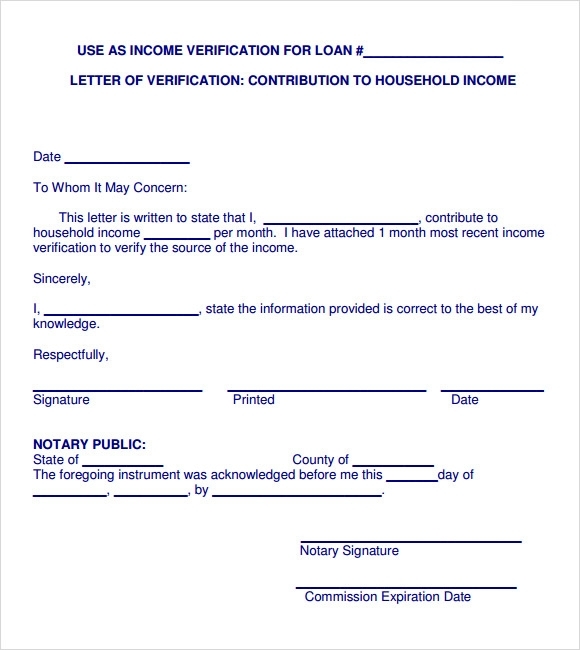 The purpose of income verification letter is to provide a legal proof of salary income for verification process that usually occurs when applying for a bank account, credit card, loan or leasing conditions. 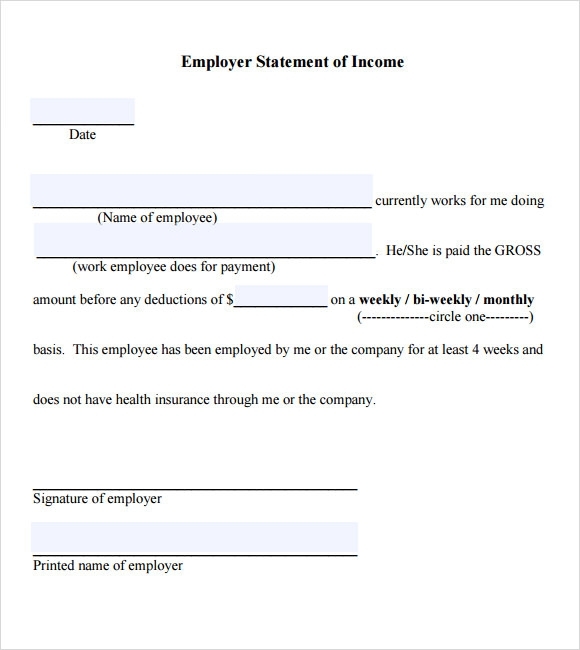 It is a form of letter written and prepared by an employee or worker for personal use. 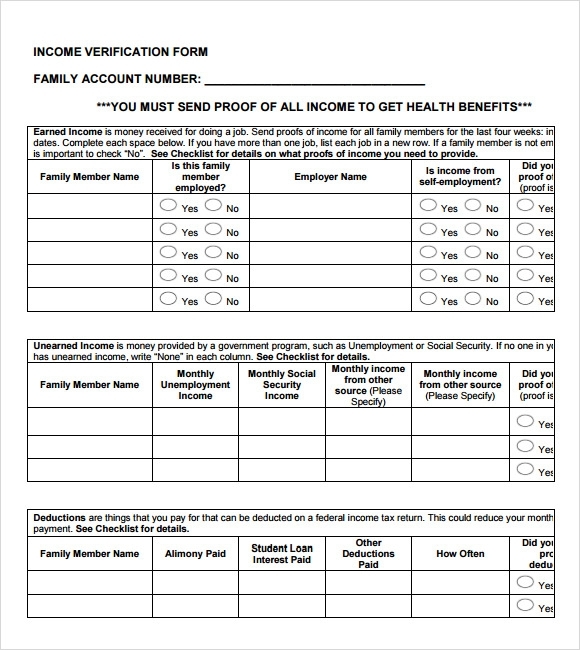 It is an outline tool that will serve as an official documentation pertaining to income status.The examples seen in template website for this verification letter are free. You may also like Employment Verification Letters. These are downloadable using an application of Microsoft Word then have it print afterwards. Individual can create their letter as a proof of income by listing down the specific information needed. An income verification letter is necessary to come up with a good and concise verification income letter. 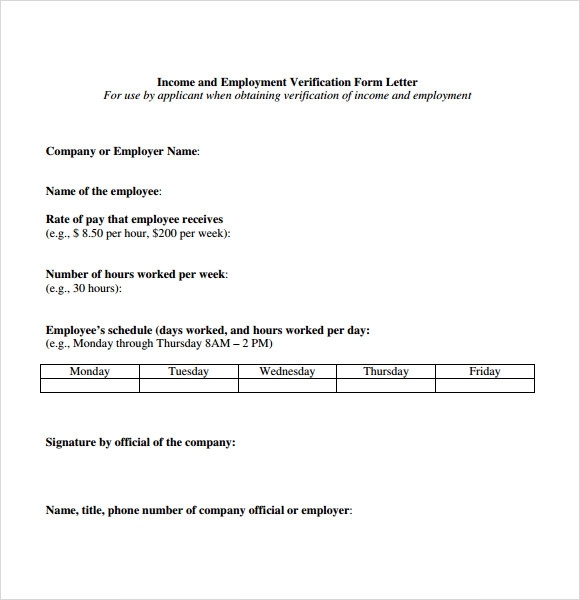 The Income Verification Form Employee Template is a detailed form or a worksheet that is required to be filled in by a recruiter or employers during the hiring process. The template contains all the essential headers and sections that can help you define income of an individual in an accurate format. 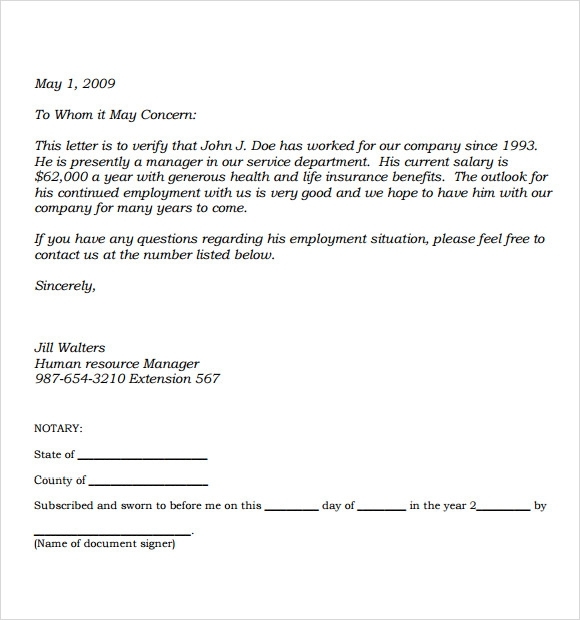 The Income Verification Letter Template helps an employer to make, record, and publish an official statement of income to the employee who has been just hired. All of these templates can help you provide details about an employee’s gross earnings, employer details, and other information. The Employment Verification Letter Template helps you to provide a confirmation of the employment to an employee. The verification template gets shared with an employee soon after the background verification gets completed. The Income Verification Letter and Employment Proof Template helps you to provide a detailed description of income details. 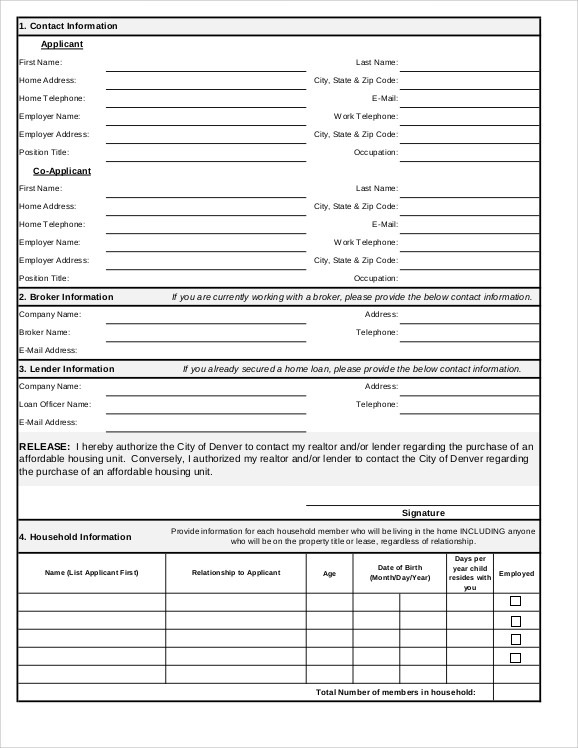 You can customize these templates by adding your company’s logo, address, and authority signatures to make it serve as a valid proof. All of these templates can help you provide a proof of your employment and/or salary in detail without putting much effort in designing detailed salary verification layout. You can download and get these templates signed to ensure that it serve a legal proof to resolve disputes and disagreements in the future. Where You Can Use These Templates? You will require these letters whenever a bank or lender will request the same while lending a loan, mortgage, or making a purchase on credit. These templates can be used a proof of employment by a potential candidate as proof of their continual employment. You may also like Proof of Income Letter Templates. The template’s layout includes employment date, name, address and registration number of employer, detailed description of work hours, job description, and salary. Along with these, the template can also include date of hiring an employee, year to date earnings, and authority signatures. If you own a firm or works for a hiring team of an organization, then these templates can be of great help while providing detailed salary letters to an employee. You can customize these templates and make them work as a desired format for sharing important details of the hiring process, his roles and responsibility, and compensation and benefits.